Price BMW M3 GTR is 215 000 $. But even for the money you can not buy it! Did you see that? The unique design. BMW i8 will be the best decoration for your desktop! Download BMW i8! Have you seen the car BMW 3.0 CSL Hommage? This masterpiece of 2015. 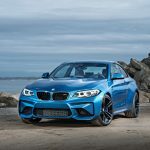 Want to download a photo BMW M2 Coupé? See this article.